Multiple torch burning generates many parts at once for efficient and economical production. 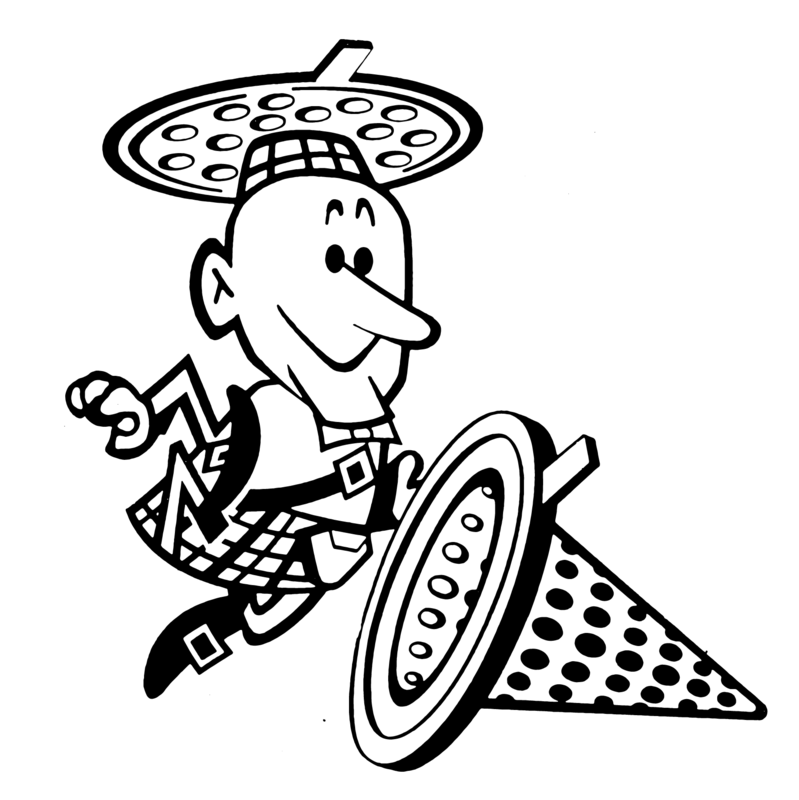 Computer-generated part programs can be stored for future requirements when delivery is critical. 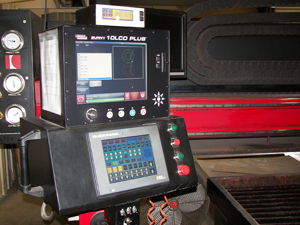 Computer-controlled burning together with multiprocess and multitorch burning capabilities provide the customer with consistency, versatility and economy in part production. 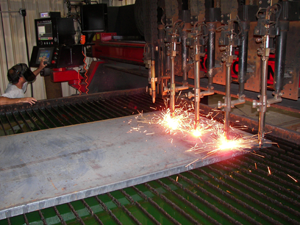 Any unique shape, as well as standard shapes, can be cut from carbon steel, stainless steel, or any alloy material. Our burning experience and technology can assist in developing your prototype parts. 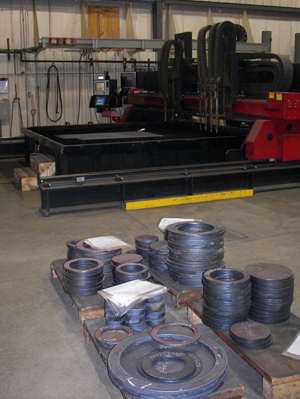 Mack Iron's capabilities also include mechanical cutting and shearing. Carbon steel up to 2-1/2" thick and stainless steel up to 1/2" thick are commonly stocked.